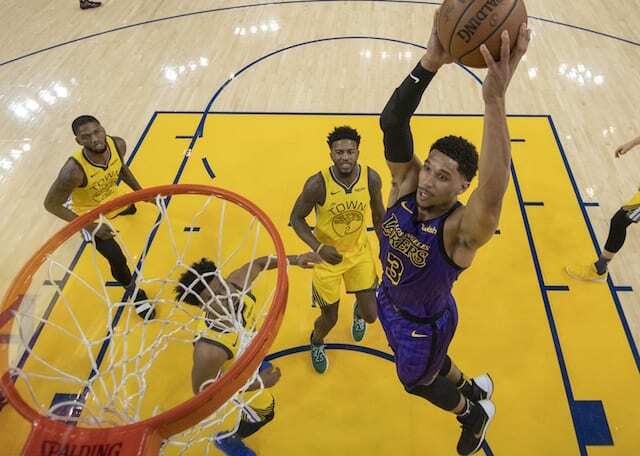 Coming off a disappointing loss to the Memphis Grizzlies, having dropped four of their last six games, and again shorthanded because JaVale McGee was out, the Los Angeles Lakers jumped all over the defending champion Golden State Warriors on Christmas. Like he’s done so often this season and throughout his career, LeBron James spearheaded the attack, whether by creating for himself or teammates. The Lakers led by 13 points at the end of the first quarter and added to it in the second. Then, while in the process of potentially taking control of the game for good, James suffered a strained groin in the third quarter and never returned. The injury isn’t believed to be serious but his immediate availability remains unclear. Hart scored 12 points off the bench and though he only made two of six 3-pointers, one came late in the fourth quarter and essentially helped the Lakers ice the game. Hart added a slam dunk with 1:32 remaining. The Lakers had seven players score in double-figures, with Lonzo Ball the only starter to not reach at least 10 points. 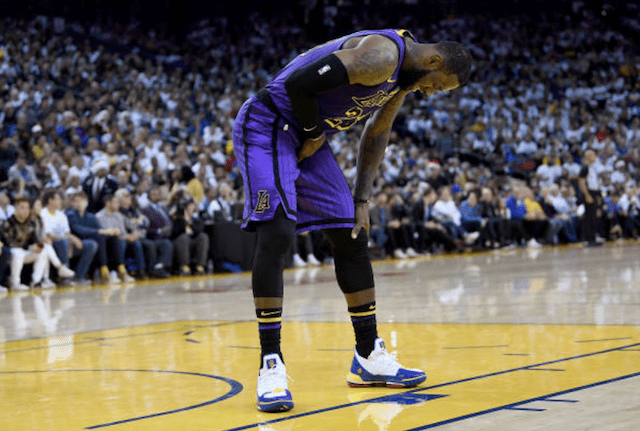 Although they managed to defeat the Warriors and while the group might have confidence, losing James for an extended period of time would figure to be a difficult test for the Lakers.